New ACUVUE® OASYS with Transitions™ is now available. Product ordering, online learning tools and materials for your practice. Johnson & Johnson Vision brings together insights, technology and people to encourage professionals and patients to proactively preserve and enhance vision for a lifetime of overall well-being. Find many ordering features including easily ordering and shipping directly to your patients. Stay connected to your patients with instructional videos, educational articles, and printable guides. You even can email them helpful resources about how to use and care for their contacts. We've expanded our portfolio of products! 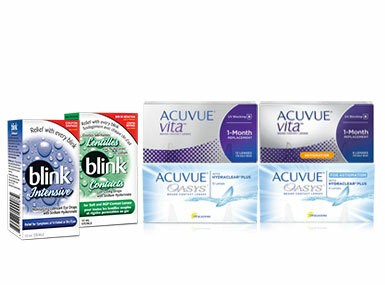 Now we're offering eye health products that include Contact Lens Care and Dry Eye Drops.